Amanda Ros is currently the Coordinator of Monograph Copy Cataloging at Texas A&M University Libraries. 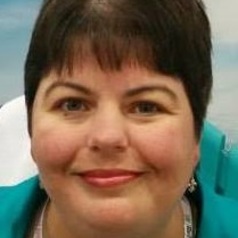 She has over 25 years’ experience working in academic and public libraries, primarily in Cataloging. Her professional interests include cataloging ethics and staff workflows. Amanda also works as a Virtual Cataloger for LAC Group. She started with LAC Group as Cataloger and eventually Cataloging Team Lead for the Tulane Libraries Recovery Center (a post-Katrina project). Other library jobs have included positions at Spring Hill College, Jackson-George Regional Library System, and the University of Houston-Clear Lake. Her cataloging expertise covers a plethora of physical formats as well as e-books.